As winter sets in in the mid-Atlantic, its time to” winterize” our rabbits.Knowing how to care for rabbits in year round is important to keeping a healthy stock. We raise and breed Silver Fox and California’s as they are medium to large breed rabbits for meat and fur, not to mention the manure for the gardens. Currently our breed stock is one Silver Fox doe and 2 California bucks. My other doe died this summer unfortunately so I will replace her later this winter. 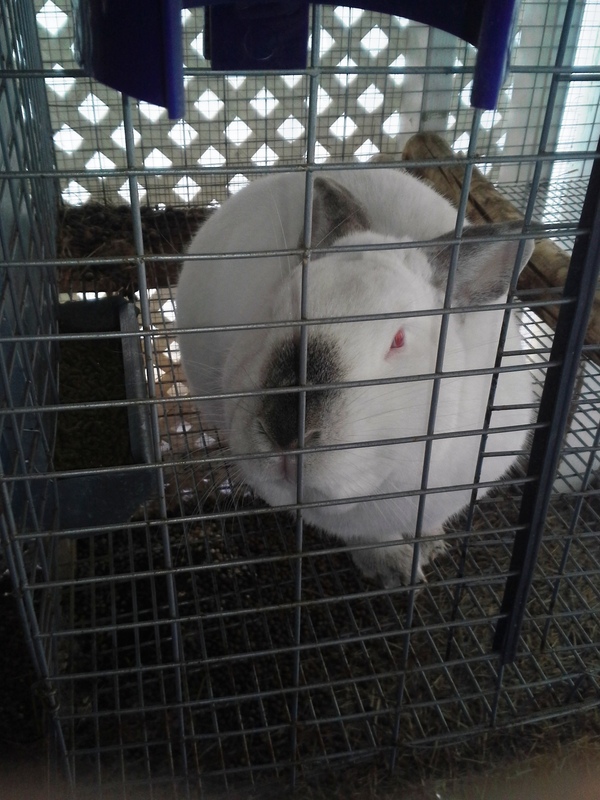 Because of a rabbits fur they are more susceptible to disease and death in the summer than in the winter. Keeping them well watered, in an open area and out of direct sun will usually keep them healthy and happy during warmer months. In winter, their fur will do well to keep them warm, but they need to be kept in a more confined area that keeps them out of the elements. They should be sheltered well from the rain, snow and wind. couple of years ago, but if you have followed our blog you know our chicken story. SIde note: we are still fighting the county to get chickens legalized. Hopefully with the new council we will be able to make some progress. 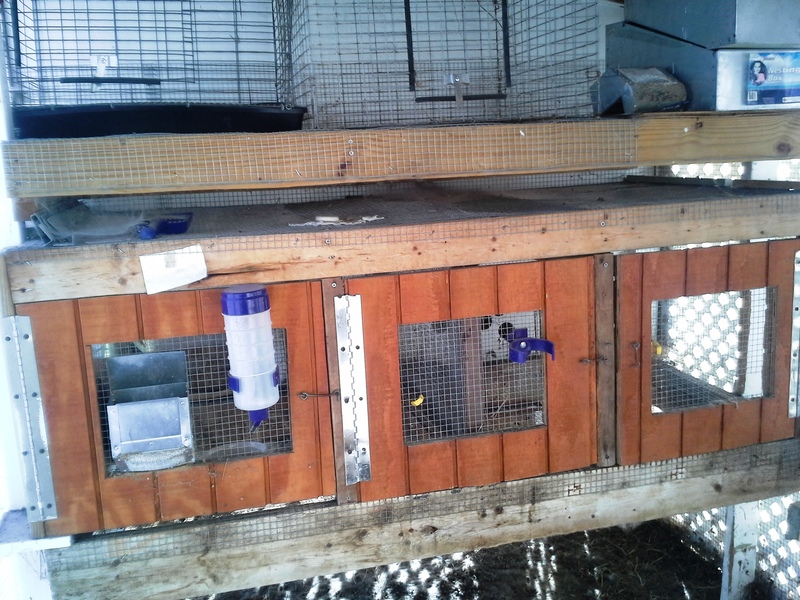 Anyway, the chicken coop converted easily and nicely into a large rabbit hutch. We have 5 large cages and 3 smaller ones which we use for the babies when they are weaned. In the summer all of the cages get the cool breezes and are shaded well, We also allow them to run on the ground some during the summer (old chicken run) to keep their nails trimmed and give them some freedom. During the winter they get out very little and I have to “pull down the shades”. 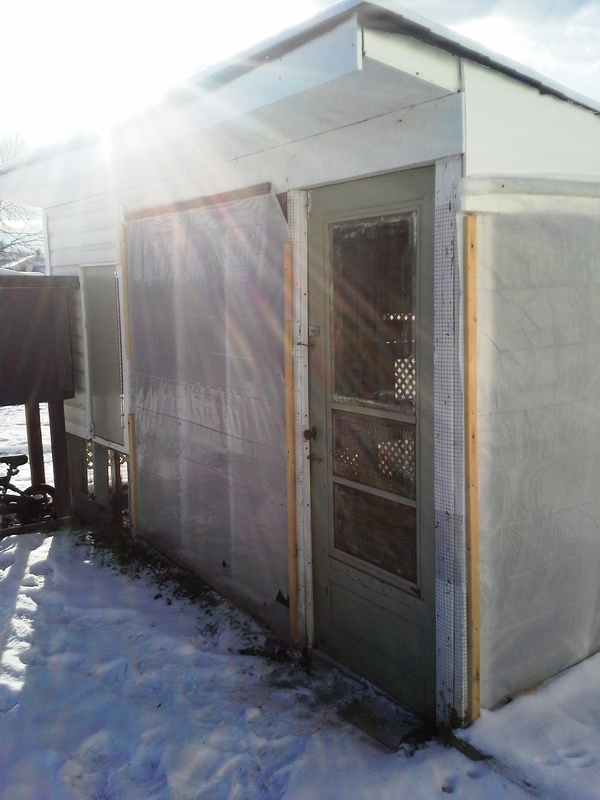 The shades being large sheets of plastic that will protect the hutch from wind, rain, and snow. As warmer weather begins to show its face in March/April I will remove the shades to allow once again for the cool breezes to keep them happy. In winter, water is also important, as the rabbits will dehydrate quickly if not kept with fresh water. We don’t use heated water trays, so on very cold days and nights, I must change the water supply 2 to 3 times a day. A little ice does not hurt, but if the top freezes enough they cannot drink, I change the water. I enjoy my rabbits and they are helpful to our family gardening and food supply-maybe not as much as the chickens, but I will probably keep them even if chickens are legalized.